Currency wars? Forget it, says Jefferies managing director David Zervos – what we’re about to witness is a “growth war” on a global level.Goldman made this subtle distinction earlier. It’s not about currency devaluation per se, although that is a byproduct of the monetary easing underway in some of the world’s biggest economies right now. If the US, the Eurozone or Japan went full scale nuclear……there would be no contest. Any one of these economic areas could extract significant growth from the rest of the world by using the currency option. The objective for central bankers is to lower real rates faster than the next guy – that is the essence of the growth war. The country who gets there first wins the growth. At G7 and G20 meetings last week, world finance ministers ruled out intentional currency devaluations vis-a-vis other countries. So, with the era of currency wars drawing to a close, what does the “growth war” look like? Going forward, the driving policy force for the bulk of the G20 countries will be Ben’s beloved portfolio balance channel. The idea is that central banks will use their balance sheets to reflate domestic risk assets and drive investors into projects that will likely generate real technological advance, real returns on capital, real growth and real job creation. The option of foreign asset buying does not utilise the “virtuous” portfolio balance channel; rather it simply reaches across the border and grabs someone else’s growth potential. Of course modest currency fluctuations will occur as relative real rate differentials move around, but these are second order effects. There is to be no direct currency manipulation to engineer/steal growth. That was the marching order! 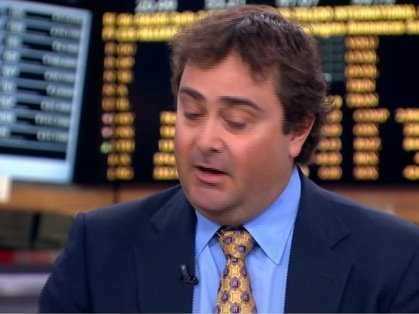 Thus, Zervos says, all currencies lose – so there’s not much point in playing them against each other.